Soft Cell and West Berkshire Brewery (WBB) have collaborated to create a limited edition new beer named "Say Hello, Wave Goodbye", which will be available exclusively in casks in up to 2000 pubs nationwide from September 3rd. 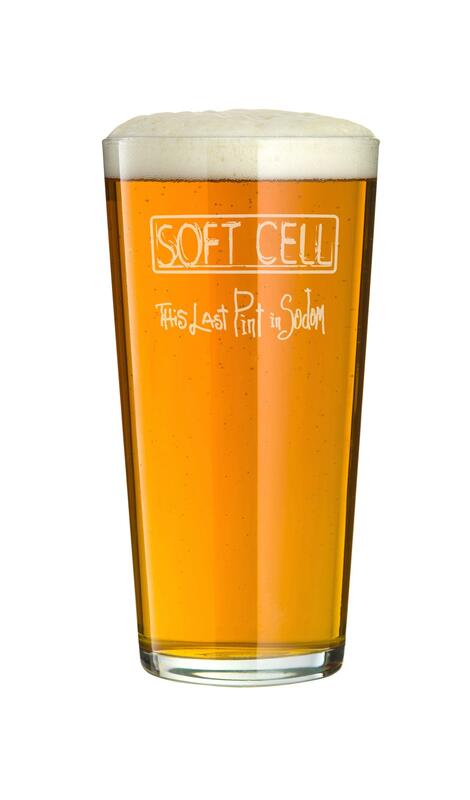 As official merchandise partners to Soft Cell, Lexer Music is making available "This Last Pint In Sodom" Pint Glasses to go with your Soft Cell beer! Each glass is a deluxe etched conical pint glass with Soft Cell logo and "This Last Pint In Sodom" text. This will be bubble-wrapped and packed securely to ensure safety in transit.